Would its smart home start-up Nest have been more at home at Apple? If there’s one thing that can turn a sweet M&A deal sour, it’s culture clash. Merging two companies, whether as equals or in a takeover, can cause real upheaval and uncertainty for workers. When those two groups of people also don’t rub along well it can be disastrous –as Google (now Alphabet) seems to be discovering with Nest, the smart home start-up it spent $3.2bn (£2.2bn) on back in January 2014. The company has been in the headlines this week after a public spat between its CEO Tony Fadell and Greg Duffy, the now-departed co-founder of Dropcam, a start-up acquired by Nest in June 2014. Nest has lost around 70 of its 1,000 staff in the past year, many of them former Dropcam workers apparently unhappy with their new home. 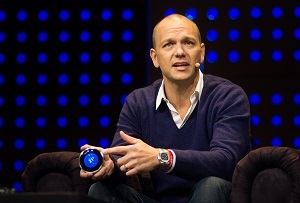 In an interview with The Information, Fadell blamed problems with the merger on members of Dropcam’s team. ‘A lot of the employees were not as good as we hoped,’ he said, adding that ‘unfortunately it wasn’t a very experienced team.’ Duffy, who admits previously calling Fadell a ‘tyrant bureacrat’, has hit back, accusing Nest’s boss of ‘scapegoating’ Dropcam’s staff. It seems clear that Dropcam wasn’t a great cultural fit for Nest and it would also appear that Fadell has struggled to fit in with the culture of Google. You might think of Silicon Valley’s tech companies as having a common culture of relaxed dress codes, office ping pong tables and long hours. But after spending seven years in the noughties working for Apple, which was so in thrall to its founder Steve Jobs (and let’s not forget is more than 20 years older than Google), Fadell has apparently found the more open and collaborative environment in his new company rather different. ‘The very first day, when the [Nest] deal was announced, I got all these various individuals from inside Google saying, "Oh, congratulations," and "I want to work with you," and "Is there something we can help you with? ",’ he reportedly said. ‘And at Apple, it was very structured. It wasn’t like you were going to send a message to Steve for any reason and say congratulations and flood his email box.’ Remind me never to send him a friendly email. The impact of all this disagreement and disquiet on Nest’s performance isn’t clear cut, but its sales figures are apparently disappointing and tumultuous headlines about its management aren’t helpful for a business that needs to attract a lot of really talented people. Nest is a clear reminder that companies looking to merge overlook the importance of culture at their peril.